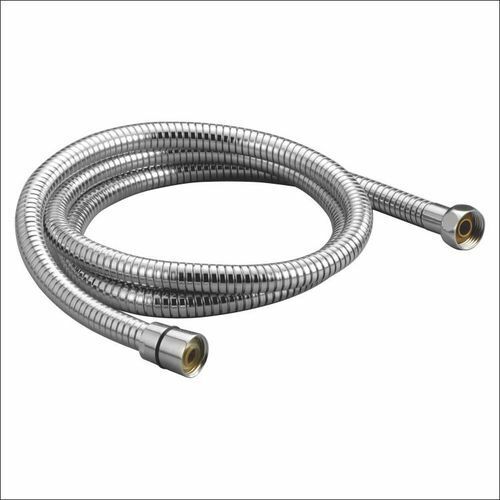 Backed by our rich industry expertise, we are offering a premium range of Flexible SS Shower hose. These products are completed by industry retailers who have prosperous industry acquaintance. Our offered products are widely accepted in the market due to their reliable performance and easy functionality. Moreover, we offer these products at reasonable prices to our clientele. Established in the year 2006, at Delhi, Meet Sanitations is a well known organization that is engaged in Wholesaling, Supplying and Trading of Classic Collection, Corsa Collection, Desire Collection, Fusion Collection, Health Faucet, Magna Collection, Oval Collection, Rain Shower, Solo Collection, Stella Collection, Stone Collection and Allied Item. These taps are highly admired in the market due to their features such as, easy to use, zero maintenance, well-built construction, rust resistance, longer service life and low prices. These products are manufactured by our vendors using the sophisticated technology and optimum quality raw material that is sourced from reliable retailers of market. Our offered products are available in diverse specifications that meet on clientele demand. To make these products, our vendors have established an advanced manufacturing unit that is embedded with most sophisticated machines and tools that gives consistent performance in manufacturing process. Moreover, our vendors have also advanced warehouse unit that has embedded with all the essential amenities. Furthermore, to meet the diverse necessities of patrons, our vendors are manufacturing these products in various sizes and specifications.